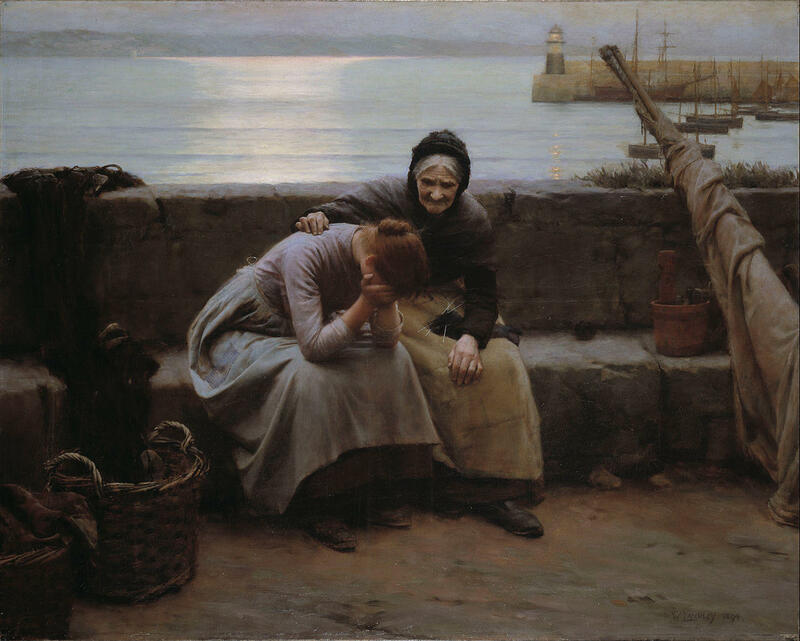 Walter Langley's painting "Never Morning Wore to Evening but Some Heart Did Break." Dr. Lerner documents the atrocities and guides us to apologies that really heal. Brook Silva-Braga and Jill Andres lay out their series of tests. Remember when the federal treasury secretary talked about "stress-testing" the country's banks? Jill Andres and Brook Silva-Braga can do something similar for relationships. And they've tested it... on themselves. Their book The Marriage Test lays out a pathway for couples to follow to figure out their compatibility. It won't be easy, but then relationships aren't always, either. Jennifer Wright lists some truly awful breakups. So maybe you had a relationship or three that went awry: she threw your clothes in the yard, or he trashed you on Facebook. Those actions pale by comparison with some historically bad separations. Author Jennifer Wright documents 13 of the worst breakups in history in her book It Ended Badly.